Team Fastrax — professional skydivers — will delight the crowd with three performances - 11 a.m., 1 p.m. and 3 p.m., weather permitting. The Fayette County Airport Open House/Fly-in will be held on Saturday, Aug. 4. This year the B-25 will be available for rides for the first time. A few flights will be available so the community is encouraged to visit squareup.com/store/champaign-aviation-museum and register. The Fayette County Airport — located at 2770 State Route 38 Northeast — will hold its annual Open House/Fly-in on Saturday, Aug. 4, and will feature a new historical plane ride. 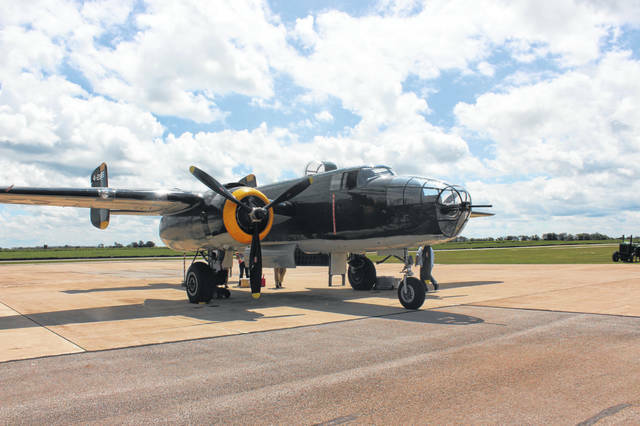 Each year the fly-in has a series of planes, including a historical B-25, on display for the crowd to enjoy from World War II, Korea and Vietnam. This year will be slightly different as the B-25 will be available for rides for the first time. A few flights will be available, so the community is encouraged to visit squareup.com/store/champaign-aviation-museum and register. The Runway Run — a 5K Walk/Run — will begin at 8 a.m. on Aug. 4. Registration is $30 before July 20 and $35 after. Residents can sign up at www.EZRegister.com or by picking up an application at the Fayette County YMCA, The Rusty Keg, The Fayette County Airport or at Fayette County Travel & Tourism. All pre-registrations will be entered into a drawing for a scenic plane ride for two. Finally, a sky-diving show, courtesy of Team Fastrax based in Middletown, will delight the crowd with three performances – 11 a.m., 1 p.m. and 3 p.m., weather permitting. 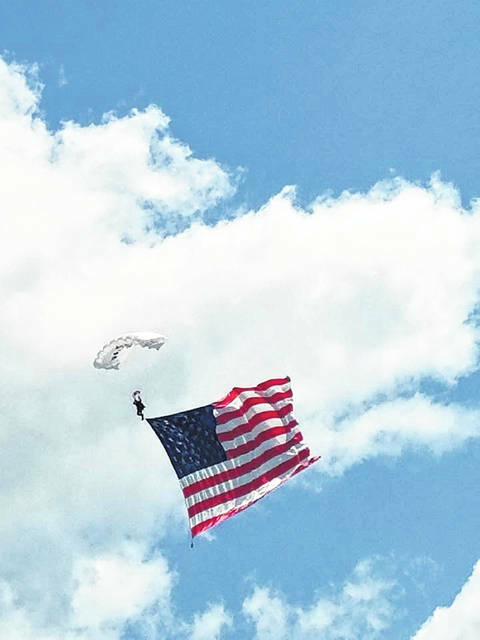 “Come out and enjoy homemade ice cream, a skydiving show and the Southern Ohio Jeepers Association throughout the afternoon,” Jolinda Van Dyke, Fayette County Travel & Tourism president, said. Stay with the Record-Herald for more information on this event. Team Fastrax — professional skydivers — will delight the crowd with three performances – 11 a.m., 1 p.m. and 3 p.m., weather permitting. https://www.recordherald.com/wp-content/uploads/sites/27/2018/07/web1_IMG_4969.jpgTeam Fastrax — professional skydivers — will delight the crowd with three performances – 11 a.m., 1 p.m. and 3 p.m., weather permitting. https://www.recordherald.com/wp-content/uploads/sites/27/2018/07/web1_dewey1.jpgThe Fayette County Airport Open House/Fly-in will be held on Saturday, Aug. 4.
https://www.recordherald.com/wp-content/uploads/sites/27/2018/07/web1_IMG_0167.jpgThis year the B-25 will be available for rides for the first time. A few flights will be available so the community is encouraged to visit squareup.com/store/champaign-aviation-museum and register.